Huesca and Celta Vigo face each other in the relegation six-pointer on Matchday 30. 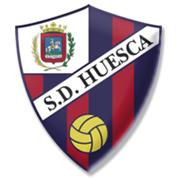 Huesca were struggling to find their form in the first half of the season, but they have been producing fine displays in 2019. The newcomers are seven points behind the safe zone, meaning that this has to go down as a must-win game for them. Huesca did well to beat Sevilla in their penultimate home game in the Spanish top flight, which is surely giving fans a reason for optimism ahead of the visit of Celta Vigo. Os Celeste, on the other hand, did well to come from behind and beat Villarreal in front of home fans, but seeing that they produce much better displays at home than on the travels, we are tempted to put our money on the newcomers. In the first half of the season Celta defeated Huesca 2-0.